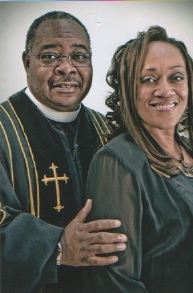 Pastor and Mrs. Andrew Hunt invite you to visit New Life Community Church. We are located on the corner of 86th and Ditch Rd. on the Far Northside of Indianapolis. Corporate Worship begins at 10:30 am Sunday's with Sunday School held at 9am. Join us Wednesday's at 7pm for Faith, Family & Fun Night featuring Weekly Adult Bible Study and AWANA for Kids. If you have any questions about New Life Community Church and its Ministries, we invite you to give Pastor Hunt a call at 317-875-8414, or send an e-mail to ahunt@newlife-indy.org. We look forward to meeting and worshiping with you. Take some time to meditate on this Scripture, and ask God to prepare your heart for Sunday's message.